The “Last Week Tonight” host on Sunday broke down the UK referendum set for Thursday that will see citizens vote on whether the UK should leave or remain a member of the European Union. 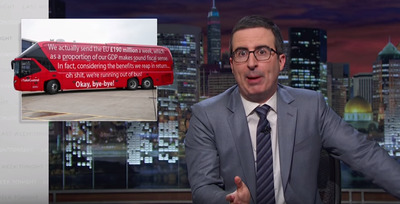 Oliver spends most of the 15-minute segment making the case that a vote to “Leave” is, well, not exactly what those campaigning to leave have made it seem. For example, Oliver questions London Mayor Boris Johnson’s assertion that being a member of the EU costs the UK £350 million per week. Which is all a way of saying, in Oliver’s view, the “serious” arguments made by the “Leave” camp aren’t all that serious. 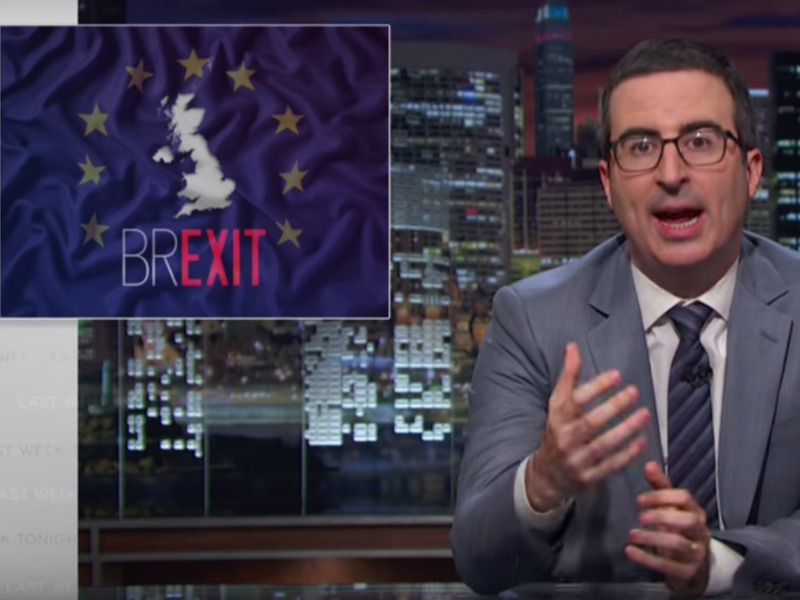 Oliver notes that many of the major international economic commentators — groups like the IMF, OECD, and the Bank of England — have warned on the consequences of a “Leave” vote. He also shreds the anti-immigrant and sometimes racist bent that has been taken by many in the UK Independence Party, or UKIP. Oliver adds that ranting against the EU — and, really, the whole of Europe — is a fundamentally British thing to do. But this, in his view, is not at all a reason to try to leave the European Union altogether. After the “Remain” camp caught a bit of momentum last week, new polls over the weekend showed the “Remain” camp regaining some ground in the polls. On Monday, the British pound was rallying, stocks were rallying, and markets that had long believed the “Remain” camp would ultimately win began to regain considerable confidence their long-held view would come to pass.